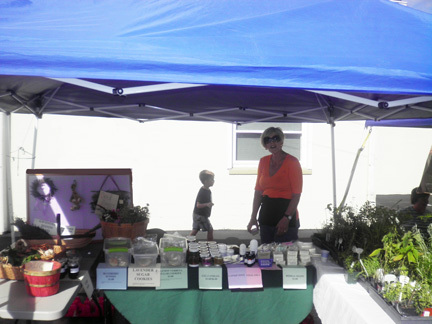 For the past six years I have been participating at the farmers’ markets in Dimondale, Allen Street and East Lansing. 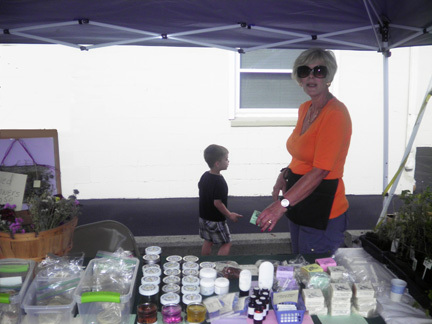 Dimondale will have their market on Thursdays from 3 - 7 p.m. starting June 6th until October when it will go from 3 - 6 p.m. It will take place as always in the parking lot across from Mike’s Restaurant. Allen Street Market is located off of Kalamazoo Street where it crosses Allen Street. Allen Street will open this year May 15th thru the end of October. 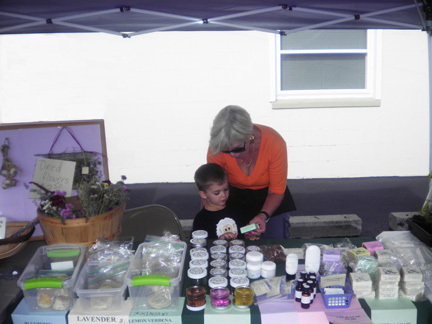 The market is open from 2:30 - 7 p.m.
East Lansing Market is on Sundays from 10 a.m. - 2 p.m. from June 2nd to October 29th in Valley Court Park. In the fall, we will have many knit items such as floral scarves, floral pins, fingerless mittens, hats, headbands, boot toppers, cowls and many more items. We will also have broom corn decorations, bittersweet branches as well as cornucopias. Late fall we have Christmas greens, wreaths, kissing balls, advent wreaths, swags, boxwood trees and table arrangements. 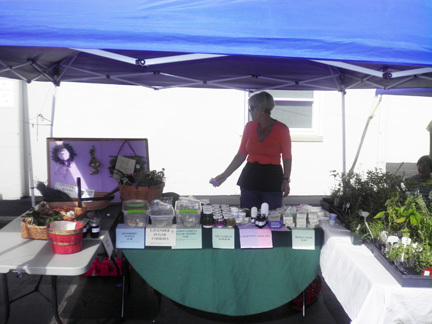 All products are herb related and made on the farm by me. During the farmers’ market season the farm is not open but if you cannot make it to one of the markets, let us know and we will gladly welcome you here at the farm during one of our at-home days.